← Can You Have A Second Chance? About The Story: Lady Claire Hartford, Viscountess Chesterman, thought marriage would provide her a tolerable amount of independence, more than her brother had given her. How wrong she had been. She went from an overprotective brother to an overbearing husband who gave the impression, by lavishing jewels upon her, that their marriage was a suitable and loving one. But she knew better. Her husband told her if she were to tell anyone, he would destroy her brother and do irreparable harm to her family. After all, he had the ear of the King. So with that she kept her silence. She appeared to be the demure, biddable wife, but within she burned, BURNED, for her freedom, not to be controlled, to be able to make her own choices. She didn’t want marriage if that’s what it was all about. But then her husband suddenly died in a horse accident. She was free, but could she free herself from the awful memories? Nathan Ferguson, Lord Blythe, knew he was a rogue. Everyone knew it. After all, he had ruined his family’s reputation. When his father had died mysteriously on a mountain top in Switzerland, he left them penniless. It was up to Nathan to save the family. He did what he could. He was good at cards, better than good, and used that skill in filling the coffers of his family. He owned a gambling house, a place he could take men’s money legally. Yes, he was a scoundrel. In saving his family from financial ruin, he was ruined–no longer part of good society. He knew that he had lost his chance of a good marriage and family. He had done what he had to do. Lord Nathan received a letter written by an unknown asking him if he’d like to know how his father died. He couldn’t pass up the opportunity to find out. He needed to travel to Paris and get there on an appointed date. His only friend, Sebastian Addison, asked him to keep an eye out for his sister. They would be on the same ship. He would just make sure she made it to Calais. But once the ship docked in Calais, how could he walk away from her when she was standing alone on the dock? And where was her maid? Lady Claire had a glib tongue and was able to hide her circumstances, even apparently from herself. Her small suitcase with the letters of introduction and bank vouchers were stolen while in England, her maid had run off, and at Lord Blythe’s appearance someone was in the process of removing the rest of her luggage from her possession. He was torn between trying to keep Lady Claire safe, safe from others and safe from herself and to see if he can find out the particulars of his father’s death. Rather than getting her to return to England, she eventually obliges him to travel to Paris with her. Below is an excerpt of the story when Lady Claire finds herself locked in a room, mind you, for her own protection. Her actions were neither demure nor biddable. At this point, I fell in love with the heroine. The door opened farther and he shuffled in. Claire swung with all her might, putting every bit of muscle into it, like all those times that she and her brothers played with sticks and balls in their mother’s garden. The vase whistled through the air and landed on Blythe’s skull with a solid thunk. He went down to his knees, stayed there for what appeared to be a long time, then slowly fell forward. A tray dropped from his hand, dishes scattered every which way. Food splattered. Tea spilled. Claire dropped her weapon and quickly closed the door. The man—who was most certainly not Lord Blythe—was wearing the red and silver livery of the Marquis de Marchant. “Oh dear. On my. Oh no. Oh. Oh.” She knocked out a servant. She dropped to her knees to place a hand on the man’s head and felt a large lump forming behind his ear. “Oh my goodness.” She closed her eyes in mortification. The poor man. All he was doing was bringing her food and drink and she struck him. She stood, looked down on him, looked at the closed—unlocked—door, then back at the man. She bit the corner of her lip. Well, it couldn’t be helped. He was already unconscious and the door was open. She yanked the bedsheets from the bed and grabbed a few pillows. Gingerly she rolled him over, relieved to see that he was breathing normally and his eyes were fluttering beneath closed lids. Hopefully that meant he was coming round. But not too soon. Carefully she lifted his head and cushioned it with the pillows, wincing when he bled on the expensive fabric. Then she covered him with the blankets. Standing, she looked down at him, hands on her hips, and nodded. He appeared to be sleeping peacefully. With a broken tea service scattered around. My Thoughts: What appears to be a light-hearted story, and certainly there are many light-hearted moments, has more depth. 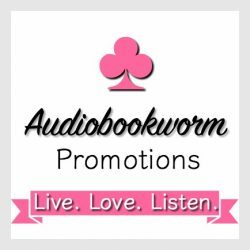 Lady Claire learns that people and situations are not always what they appear. She learns that what she may think she needs and wants isn’t at all what she really does. She learns that men aren’t all bad. She just needed to find the one that would allow her to be her. She learns that she is stronger and more capable than she thought. Lord Nathan thought only the worse of himself; he let society decide what kind of man he was. But the reader finds he has worth and acts honorably when he surely needn’t. He is changed by his journey with Lady Claire. Sharon Cullen has written a wonderful story full of adventure, romance and mystery. Her love of writing in all these genre has created a marvelous story that will delight many. 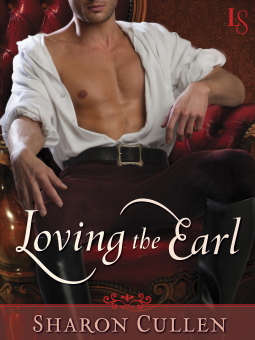 This entry was posted in Book Reviews and tagged Adventure, Book, Book Review, historical romance, Loving the Earl, Sharon Cullen. Bookmark the permalink.